According to professional writers, editing is one of the most mind-boggling tasks that have to be executed to produce content with no or fewer errors. The task can really be exhausting, especially if you are writing large content like a novel, project report or even a long essay. But is there no solution to this time-consuming writing process? Well, an automatic editing tool can help! This kind of a tool can scan your text and capture hidden spelling and grammar errors and other mistakes. Read to learn about some editing tools you should consider using to produce top quality written material. According to seasoned bloggers and academic writers, Grammarly is the most commonly used editing tool today. The online-based tool can check for spelling and grammar errors and correct them promptly while keeping your writing style intact. The free editing tool also helps with synonym suggestion which is important for increasing the readability of your content. Using artificial intelligence, After the Deadline can be used to correct a number of text errors, including misused words, spelling, redundant phrases and cliches. It recommends the most appropriate alternatives for words and phrases, making it a great tool for fine-tuning essay outline and writing hooks. As the name suggests, this is a smart essay editing tool that performs more than 20 different forms of checks on your piece. It can check for misspelled and misused words, repeated phrases, dialogue tags, redundancies and clinches. The downloadable tool is only compatible with Windows (for now) and it can be integrated with MS Word. Designed to improve the readability of academic papers, articles and essay, CorrectEnglish is a pretty helpful tool that can be used by anyone, from students and teachers to bloggers and business writers. The premium editor is web-based and supports MLA and APA style guides. This is another popular online editor and it can be used to improve the readability of content. The easy to use and aesthetically pleasing tool highlights problems in a text and gives suggestions on the word count and the number of paragraphs. It can help you use the correct voice and the right adverbs and adjectives. Compatible with Google Docs, Chrome, MS Word and Scrivner, ProWritingAid can check for plagiarism, spelling errors, grammar issues and other problems that reduce the readability of text. The editing tool has a free and premium version, with the latter providing interactive editing and plagiarism checker. If you are a fiction writer, you may want to learn more about AutoCrit. The online editing tool does more than checking for misspelled words and grammar issues: it includes features for checking filler words, cliches, repeated words and wrong voice. The premium editor can help you create desirable writing hooks and essay conclusions, giving your work the best pace and momentum. This is proofreading software designed to eliminate unnecessary phrases from a written material. 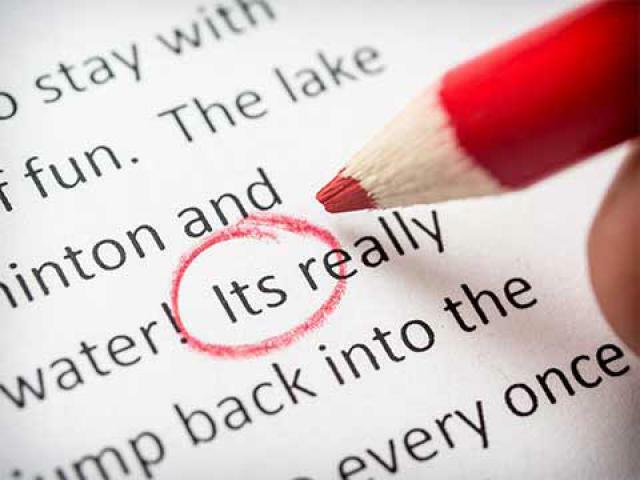 The editing tool works with MS Word and is not quite reliable in checking grammar and spelling issues. The proofreader suits lawyers and story writers as it helps with phrasing, providing a nicely flowing text. Dubbed by writers as a robotic editor, this tool works pretty fast to show you weak words, cliches, wrong-used adverbs and misspelled words and grammar errors. The free and easy to use tool also shows you sentence lengths and the most frequently used words. Available in a basic and standard version, PaperRater performs an in-depth check of your writing to pinpoint grammar errors and misspelled words. The free version can in addition perform plagiarism analysis and writing suggestions. The standard version does extra tasks like file uploads and facilitates faster processing and ad-free usage. This is a free essay editor tool that checks your content for awkward phrasing, wrong voice and wrongly-used adverbs. It is fast and comes with a clear interface where you can access writing, editing, thesaurus, analytics and settings. In conclusion, the automatic editing tools are a great way to save time and produce great content that is easy to read and understand. While the tools cannot replace your editing skills and ability, they can give you enough time to do other things in your writing.